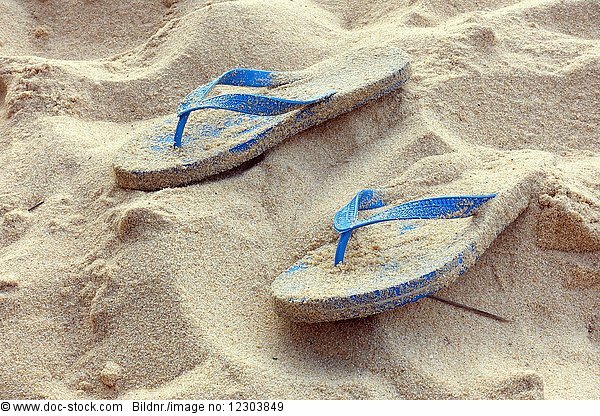 Close up of flip flops on beach. Phu Quoc. Vietnam.